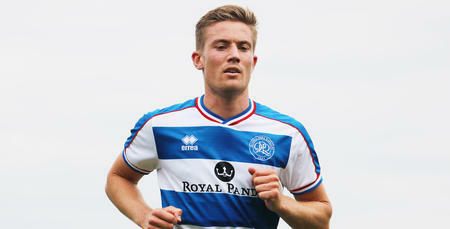 QPR duo David Wheeler and Chris Paul showed their support for the fight against food poverty ahead of this weekend’s collection around Loftus Road. 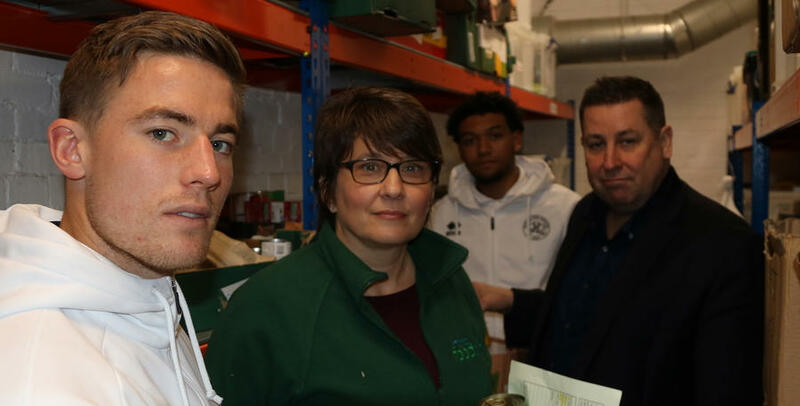 The pair visited one of Hammersmith & Fulham Foodbank’s centres, who Rangers have partnered with to run a food collection before Saturday’s home game with Aston Villa. Supporters are urged to bring spare tinned fruit, tinned vegetables, tinned meat, tinned rice pudding, instant mash and powdered milk – which can be donated at three collections points around the stadium. Wheeler, who helped volunteers prepare emergency food packs, was saddened by the situation and hopes the R’s faithful can show their support. 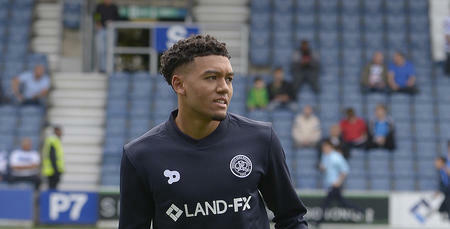 “The more people that bring what they can is obviously going to help the people in desperate need, the people that can’t afford to buy their own food” Wheeler told www.qpr.co.uk. Wheeler and Paul were joined by CEO Lee Hoos and the Leader of Hammersmith & Fulham Council, Stephen Cowan, who was proud to see QPR once again lending a hand in the community. 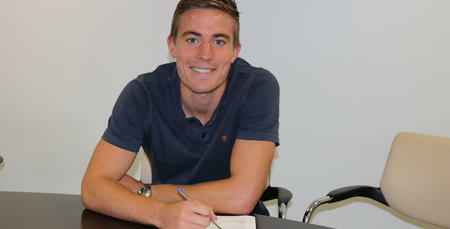 “QPR’s one of the great football clubs of this country and we’re deeply proud to have it in the borough,” he said. “They are much more than a football club. Saturday’s donations of non-perishable food will go towards three-day emergency food packs that are given to people who are referred to the foodbank when in crisis. In addition, QPR in the Community Trust has become an official referral agency of Hammersmith & Fulham Foodbank, which means they are able to issue vouchers for three-day emergency food packs to people who need them. The two organisations also plan to work more closely to deliver employability support to people without work, which is often an underlying cause of hunger. Daphine Aikens, Founder and Chief Executive of Hammersmith & Fulham Foodbank, added: “The reality of hunger in our community must be given the attention it deserves.